Capability of fraction manipulations and converting between different formats (proper, improper, and mixed fractions) and seamless integration of fraction manipulations, integer and decimal manipulations. 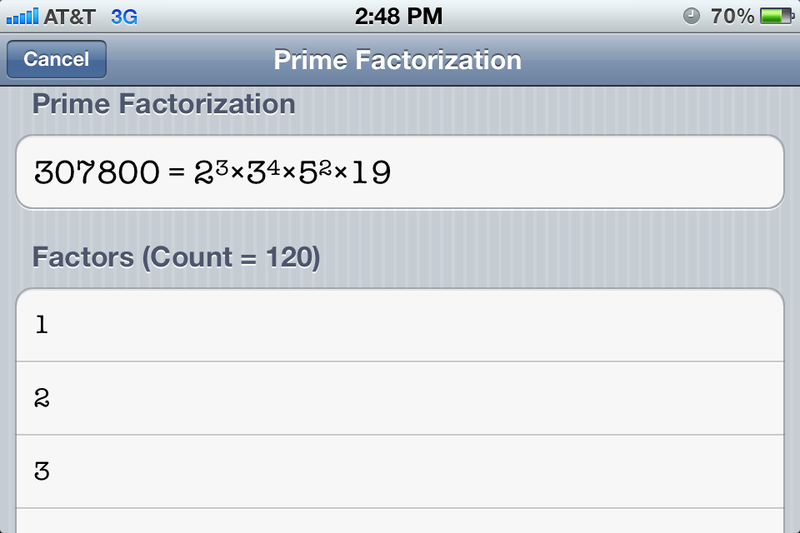 Capability of calculating permutation and combination. Capability of calculating Least Common Multiple (LCM) and Greatest Common Divisor (GCD) of numbers. Common physical constants can be chosen from a list and used in the calculations. Some of them are available in different units. Backspace to delete last digit entered. The left pane scrolls to reveal more functionality without a need to switch modes. The digits and most common operations are always visible and the less common operations can be revealed by scrolling the left half of the screen. Sinusoidal functions can be calculated for angles in units of degrees, radians, or gradians. Showing the content of memory on MR button, as long as it fits. You are going to love the simplicity of the user interface and you will get used to the extra functionality added to this product. Please do not hesitate to contact us for any questions, comments, to report any bugs, or to ask us for additional functions you would like to see in the upcoming updates.